Welcome to Niagara Falls dining district. They call it "The Street of Fun At the Falls". 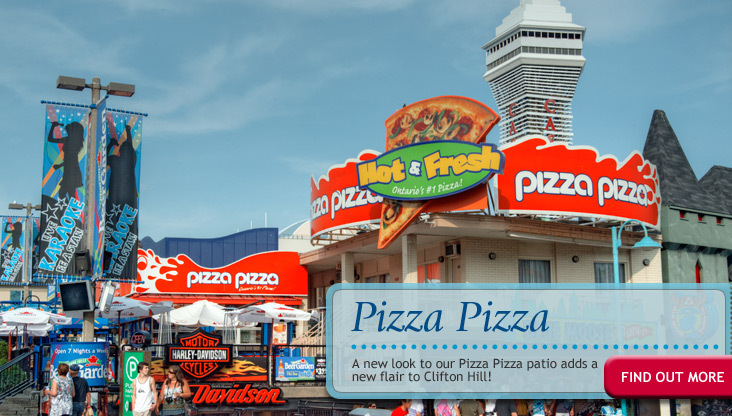 Clifton Hill, a vibrant entertainment and dining district has been attracting thousands of people to the heart of Niagara Falls for many years. 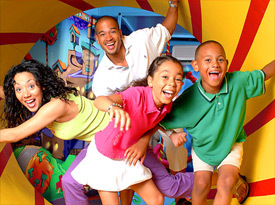 Variety is exactly what you will find when you visit Clifton Hill. 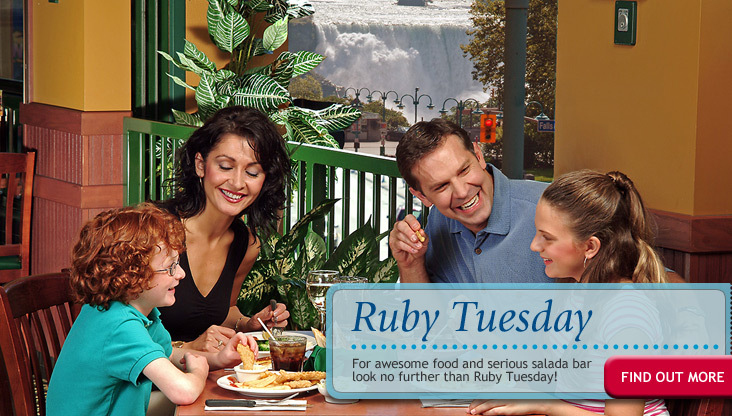 For awesome food and serious salad bar look no further than Ruby Tuesday . 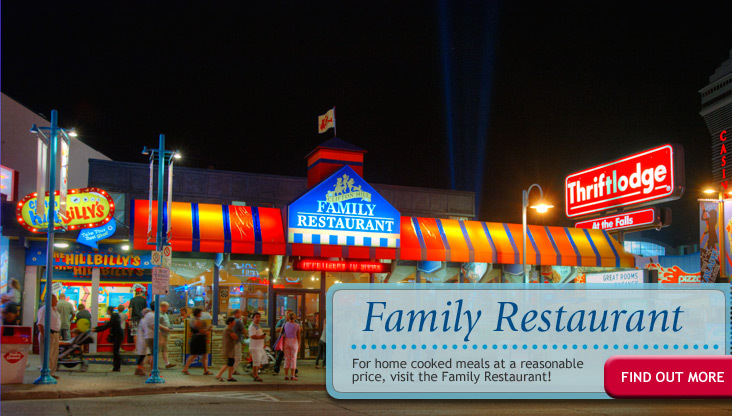 For home cooked meals at a reasonable price, visit the Family Restaurant. At any time of the day check out Dairy Queen, featuring a wide variety of ice cream treats. A new look to our Pizza Pizza patio adds a new flair to Clifton Hill. 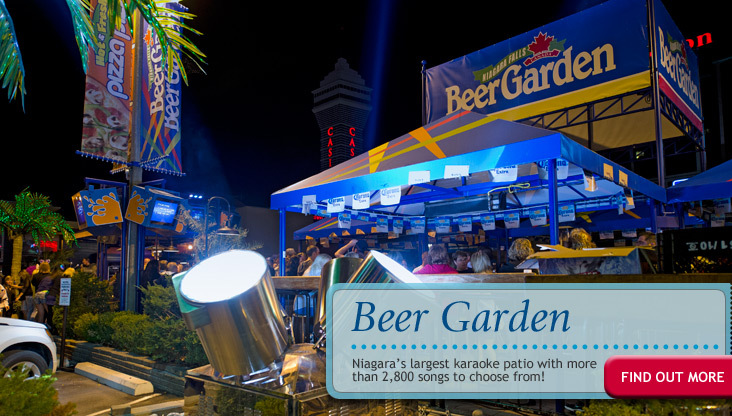 Enjoy nightly entertainment at the Beer Garden Patio overlooking Clifton Hill, Niagara's largest karaoke patio bar.